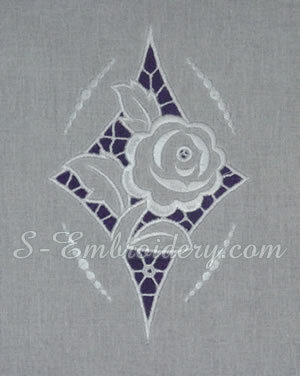 An elegant Rose machine embroidery design in cutwork lace. 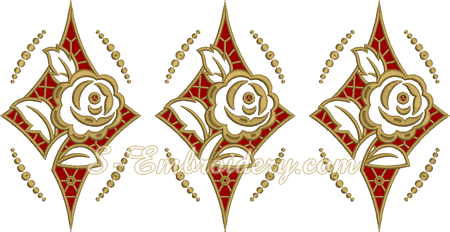 You can use this cutwork machine embroidery design in various embroidery projects. On the images below we have shown examples for configuration of cutwork lace decorations. The design comes with instructions for creating cutwork lace. 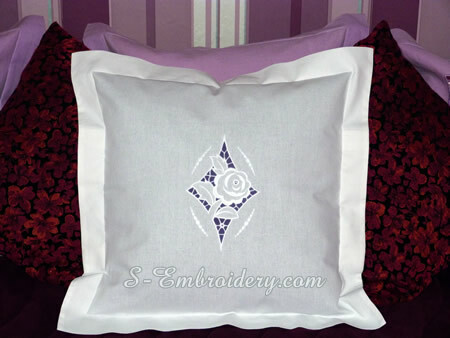 You receive 1 machine embroidery file in one of the supported formats and 2 PDF files with design information and instructions.